Why are we so excited to watch Ely Buendia and the Itchyworms in concert? For one, It's a dream on-stage collaboration we eagerly anticipate. After their collaboration in 2016 and 2017 for the songs "Pariwara" and "Lutang", respectively, their fans are going to see them together again as they fulfill, arguably, every 90s kids' dream through their highly anticipated concert dubbed "Ely Buendia & Itchyworms: Greatest Hits". As we look forward to their one-night only gig happening on February 9 at the Newport Performing Arts Theater, Pasay City, let's enumerate the reasons why this is going to be an exciting and remarkable show! This extraordinary concert doesn't need much hard selling anymore since these two acts have already created unfading marks and are hailed as among the most treasured figures in the OPM scene. Ely, as most of us know, has been around for three decades. In 1989, he, along with his three schoolmates in University of the Philippines-Diliman Raimund Marasigan, Buddy Zabala, and Marcus Adoro, established the alternative rock band Eraserheads. From covering songs at their gigs in-and-out of their campus, they eventually played their own original songs that later on made them gain throngs of followers and catapulted them to immense popularity. Throughout their on-and-off stint in the local music industry, they had produced seven studio albums and four EPs and demos, in which some of their songs became OPM staples through the years and are enjoyed by different generations, such as "Ang Huling El Bimbo", "Ligaya", "Magasin", "With A Smile", and "Pare Ko". Furthermore, they had performed in innumerable live shows here and abroad and received accolades and recognitions from various award-giving bodies, including the 1997 MTV Asian Viewers' Choice Award. Despite their success, the fans were shocked when they announced their disbandment in 2002. They went on still pursuing their respective musical careers by forming their own bands, with Ely putting up Pupil, The Oktaves, and Apartel one after another. On the other hand, Itchyworms --comprised of Jugs Jugueta, Jazz Nicolas, Kelvin Yu, and Chino Singson --has been solidly making awesome music together for more than two decades and is the band behind the LSS (last song syndrome)-worthy hits "Beer", "Loveteam", "Akin Ka Na Nalang", "Penge Naman Ako N'yan", and the Pinoy Big Brother Teen Edition anthem "Kabataang Pinoy". As we emphasized earlier, these two iconic OPM acts already gave us a hint of how they would sound together through their refreshing and somehow nostalgic collaborations that reminded us of the 1960s music era and the infectious beats of Ely's former band Eraserheads. Written by Ely with the help of Itchyworms vocalists Jugs and Jazz, "Pariwara" and "Lutang" unmistakably depict the fusion of the Eraserheads frontman's distinct songwriting style and the band's notable sound. Eraserheads fans are probably delighted to learn that they are going to have a chance to hear their fave songs of the iconic 90's band live. 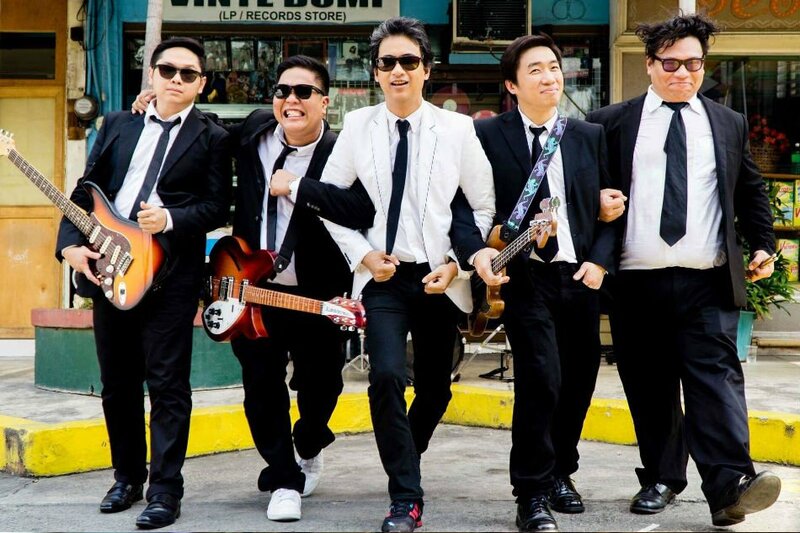 In an interview with ABS-CBN News, the Itchyworms revealed how excited they are to perform the music of Eraserheads with Ely himself on lead vocals. "Dati palang, kabisado na namin ang mga kanta nila. And ngayon dream come true na matugtog namin ang mga kantang 'yon with him," Jugs said. Then his bandmate Jazz added, "Actually, si Jugs 'yong nag-instigate ng collaboration na 'yan. Tinetext niya si Ely na 'uy, baka may unfinished song ka d'yan na pwede nating tapusin'. We started out like that." For sure, many bands or singers out there wish to jam with Ely as well, given the Eraserheads' music legacy. Besides, they are considered one of the most successful alternative rock groups in the Philippines that even influenced the Itchyworms, among other bands. Are you excited as us to witness Ely Buendia and Itchyworms perform their greatest hits in their much-awaited upcoming concert?